Best natural home remedies for Varicose Veins treatment in legs, abdominal or other areas. 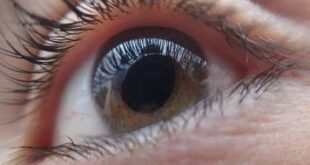 Varicose veins are abnormally dilated veins that appears near to superficial layer of skin and sometimes visible to naked eye. Most commonly they appear on legs where they cause leg ulcers. 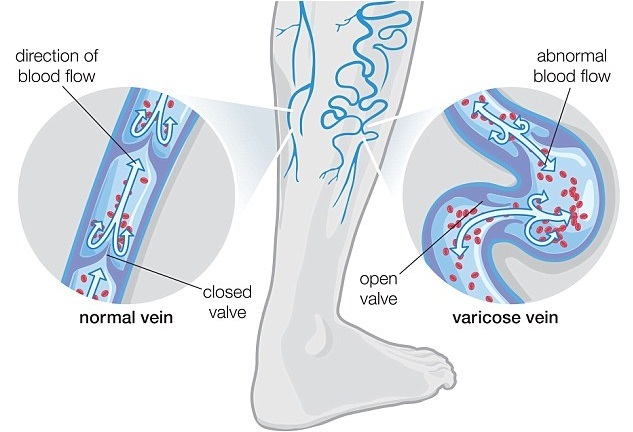 Main reason of varicose veins is malfunctioning of valves present inside the veins which are responsible for proper blood flow. It is estimated that around 30% of the people in the world are suffering from varicose veins condition. Most of the patient diagnosed varicose veins are prescribed with treatment which is outdated or ineffective. Although, there is a trend of gradual shift away from surgical treatment of varicose veins, it is still being offered by many hospitals as a treatment of first choice. Up to 35,000 varicose veins procedures are carried out each year, by NHS alone in England. More advance varicose veins treatments like laser and heat therapy are offered at very less facilities as costs around $75,00 USD depending on the complexity of the case. Varicose vein can be efficiently treated by following simple home remedies which are very easy and cost effective. If you want to get rid off from varicose veins then must read these home remedies and follow them. Control over diet is very important for varicose veins patients because diet plays important role in pathophysiology of varicose veins. Your diet must contain a high grade carbohydrates and should contain only a minute quantity of fats especially saturated fats like butter and animal fats. Saturated fats may cause disturbance in regulation of blood flow which may cause of aggravate the varicose vein disease. Therefore, taking the right food is the first step towards varicose veins treatment and prevention naturally. These constituents are very stimulating for proper blood circulation. 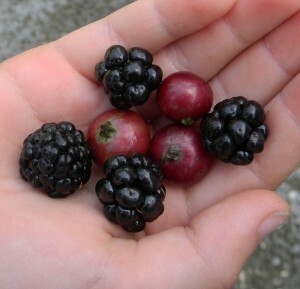 Therefore, eating blackberries and cherries really help in natural varicose veins treatment at home. 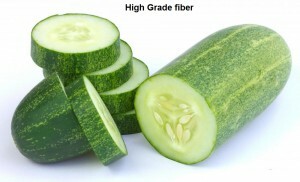 Every body knows importance of fiber so, your diet must contain high grade fiber like cucumber. Fiber helps to maintain normal bowel movement and promotes proper blood circulation in abdominal area. Moreover, fiber helps in cleansing of bowel and elimination of wastes products from body that may cause hindrance in blood circulation. 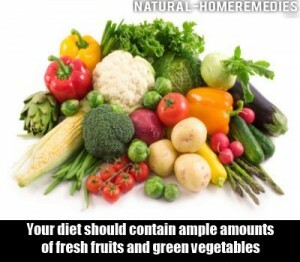 Taking fiber rich diet naturally relieves the symptoms of varicose veins disease. 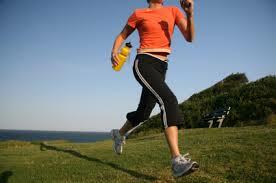 Regular exercise is another natural magic pill for people suffering from varicose vein condition. 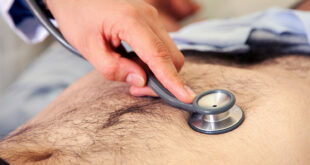 Regular exercise helps improving blood circulation and restores normal rhythm of blood flow by increasing heart beat. Therefore, exercise regularly at least for an hour daily for the natural varicose veins treatment and control. Few decades ago, compression stockings have been though good for treatment for varicose veins. Now new guidance research has proved that wearing compression stockings, hernia belts or things like that are complete waste of time. They do not help to cure the varicose veins, instead aggravate the disease. That’s why The National Institute for Health and Care Excellence (NICE) has issued a recommendation that doctors no longer prescribe the stockings on the NHS as a first-line treatment. Therefore, avoid from wearing tight clothes because they decrease blood flow which may worsen the condition. 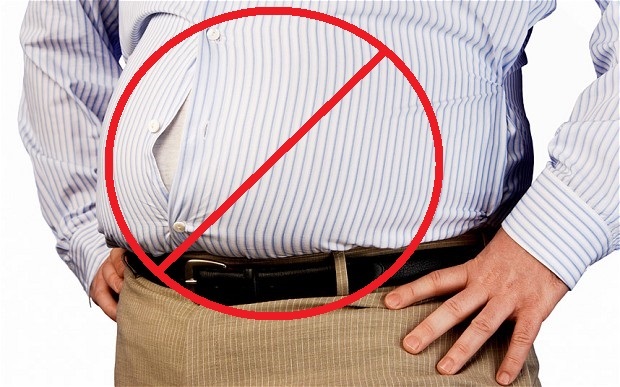 Tight clothes may also cause certain types of skin allergies like contact dermatitis, urticaria or pruritis due to poor blood flow to the superficial layer of skin known as epidermis. Try to wear simple and slack clothes that are made up of flexible fabric. 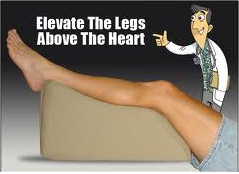 Try to elevate legs above the heart Level by putting a pillow under the legs while sleeping. This practice helps in proper venous return(Deoxygenated Blood). In varicose veins disease, due to malfunctioning of veins valves, blood does not circulate properly and does not go back to lungs for proper oxygenation. 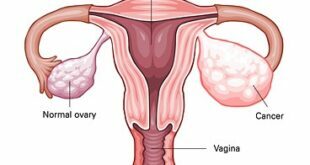 It results in blood penetrating into extra-cellular spaces and causing swelling of legs and feet. Therefore, try to elevate your legs above the heart level for proper return of blood which relieves the symptoms of varicose veins. Standing for a long time is dangerous for patient suffering from varicose veins disease. 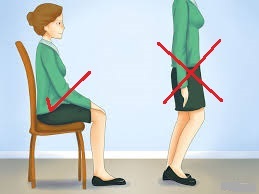 Because, standing for a long time puts pressure on veins of lower trunk which may cause abnormal dilation of lower body veins. 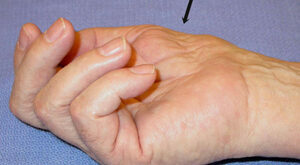 As a result, the lower body veins do not return the blood properly for oxygenation due to abnormal dilation. Therefore, for natural control of varicose veins problem, avoid standing for long time. 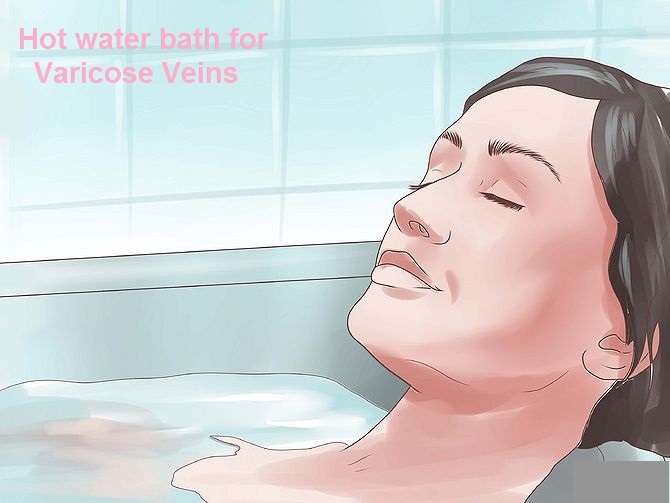 Taking hot water bath gives relief to a patient suffering from varicose veins. 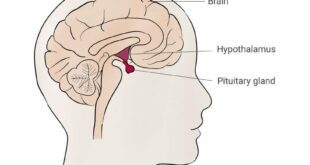 Hot water regulates normal circulation. Do not heat water up to boiling point that may cause burning of skin. Take hot water bath at least two to two times a day depending upon the intensity and feasibility. Body Massage is our last varicose veins treatment natural home remedy. 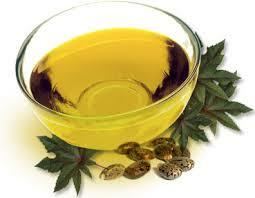 After taking hot water bath massage your legs, abdominal or affected areas with castor oil. 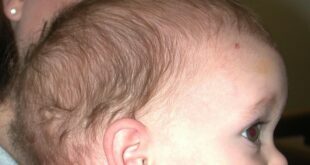 Castor oil contain many essential fatty acids and minerals that are necessary for proper development. 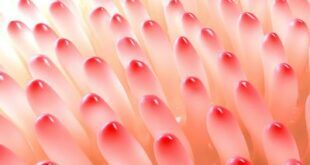 Moreover, castor oil has unique effect of increasing blood circulation to various parts of body including legs and feet. Massage your legs and feet with castor oil at least two time a day for proper blood circulation and varicose veins treatment. For further learning please watch our video on Varicose veins Treatment with home remedies!